This thought-provoking collection explores significant new facets of an American author of lasting international stature.As the author of some of the most compelling short stories ever written, two of the central novels in American literature, and some of the most beautiful prose ever penned, F. Scott Fitzgerald is read and studied all over the world. Sixty-two years after his death, his works-pro… tean, provocative, multilayered, and rich-continue to elicit spirited responses. This collection grew out of the F. Scott Fitzgerald Conference that convened in Princeton at the centennial of this author's birth. 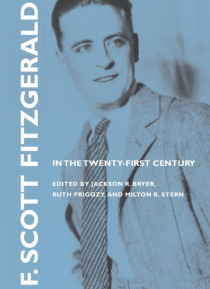 Bringing together dozens of the world's leading scholars and commentators, the conference and the book celebrate the ever-growing legacy of Fitzgerald's art.The subjects of these 19 essays reflect the contributors' wish to shine new light on less-frequently discussed aspects of Fitzgerald's work. Topics include Fitzgerald's Princeton influences and his expression of Catholic romanticism; his treatments of youth culture, the devil, and waste; parallels in the work of Mencken, Cather, and Murakami; and the ways gender, pastoral mode, humor, and the Civil War are variously presented in his work. One illustrated summary examines Fitzgerald's effect on popular culture through his appearance in the comics. Two broad overviews-one on Fitzgerald's career and another on the final developments in the author's style-round out the collection.The international scope of the contributors to this volume reflects Fitzgerald's worldwide reputation and appeal. With extensive treatments of This Side of Paradise, The Beautiful and Damned, The Last Tycoon, and the Pat Hobby stories, this collection makes an unusual and significant contribution to the field of Fitzgerald studies.